The national survey, which targeted Canadians 18 and older, also revealed that location affected respondents’ plans in using their refund for debt repayment. At 35 percent both Quebec and the Atlantic provinces, (New Brunswick, Prince Edward Island, and Nova Scotia – and Newfoundland and Labrador), saw a larger percentage of respondents planning to use their refund to pay down debt. British Colombia saw the lowest amount of respondents planning to pay down debt, with only 21 percent of respondents choosing debt repayment as the plan for their tax refund. The survey also found that those under 50 be much more likely to use their return to pay down debt (37 percent of those aged 30-49, 36 percent of those aged 18-29), compared to only 21 percent of those 50 and older. 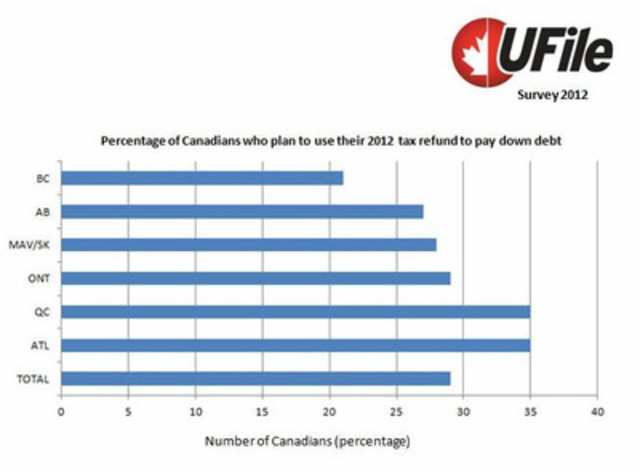 95 percent of Canadians plan to file their 2011 tax return by the deadline, April 30, 2012. This is a 58 percent increase from 2009, when only 37 percent of respondents said they planned to be more disciplined in their approach to filing their taxes, i.e. filing on time. 48 percent of Canadians consider their annual tax return to be a bonus, versus 34 percent who consider it an expense. This report presents the findings of a Research House National Telephone Omnibus Survey, commissioned by Dr. Tax, conducted among a national random sample of 1,000 adults comprising 500 males and 500 females 18 years of age and older, living in Canada. The margin of error for a sample of this size is +/- 3.10%, 19 times out of 20. The survey was conducted March 6 – 11, 2012. 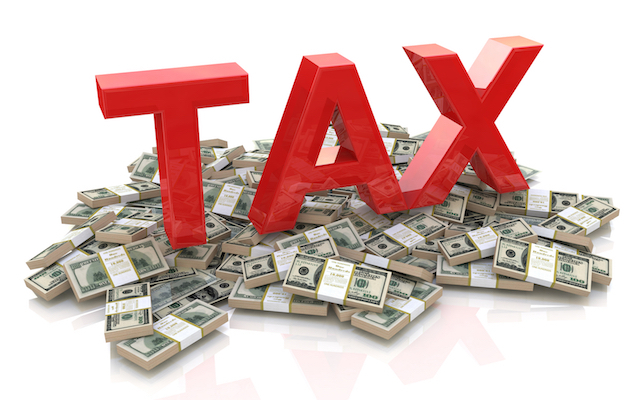 Dr. Tax Software Inc. is part of the Thomson Reuters family of companies and is located in Montreal, Quebec. It is a leading provider of tax preparation products and has served the professional tax community with personal and corporate tax products for more than 20 years. Dr. Tax’s UFile products include UFile ONLINE (online tax software), UFile for Windows and UFile PRO. UFile for Windows is available exclusively at Future Shop, Best Buy and online at http://www.ufile.ca. well, I paid off my credit card and although I am broke, I am NOT stressed.